Access Lighting Cosmos Collection Vanity fixture features opal glass shade for elegance and it has four 40-Watt lamps. It has G9 socket 2900K halogen lamp of voltage rating 120-Volts. 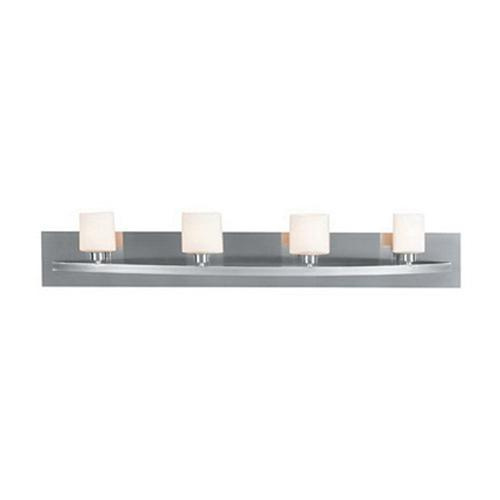 Wall mounted brushed steel fixture measures 36-Inch x 6.75-Inch. Vanity fixture is ETL listed.